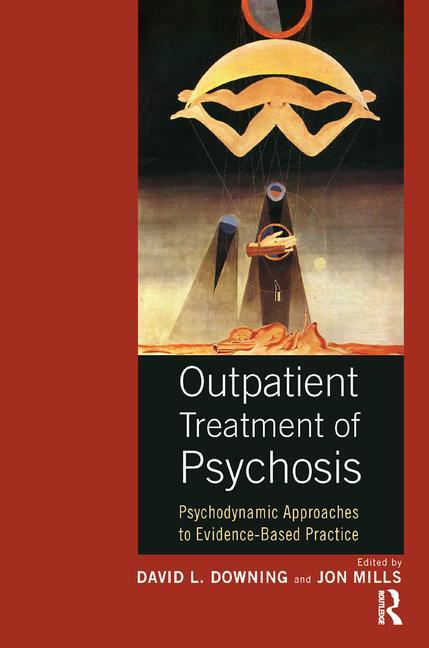 This book offers a practitioner’s guide to evidence-based practice in working with psychotic patients in an outpatient setting by clinicians and scholars who are internationally recognized for their work in treating severe psychopathology. Topics cover conceptual, technical, and practical considerations in the parameters of working with adult and adolescent populations that exhibit thought disorder, delusions, hallucinations, borderline organizations, trauma, and schizoid phenomena. Different theoretical models are presented from psychoanalytic traditions that introduce the student and practitioner to eclectic ways of conceptualizing and treating these challenging clinical groups. Concrete approaches to establishing a proper treatment environment, working alliance, symptom management, managing countertransference, and facilitating a therapeutic framework are provided. Various psychodynamic techniques are demonstrated by master clinicians through the extensive use of clinical case material culled from outpatient settings that illustrate how psychoanalytic perspectives enrich our understanding of the psychotic spectrum and lead to therapeutic efficacy. David L Downing, PsyD, ABPP, is a board-certified psychoanalyst and psychologist. He is Director of Graduate Programs in Psychology and Professor at the University of Indianapolis, School of Psychological Sciences. He is also a former Dean of the Center for Psychoanalytic Study in Chicago, as well as training and supervising psychoanalyst. He maintains a private practice in psychoanalysis, psychoanalytical psychotherapy, consultation, and supervision in both Chicago, Illinois and Indianapolis, Indiana in the United States. Jon Mills, PsyD, PhD, ABPP is a philosopher, psychoanalyst, and psychologist. He is Professor of Psychology and Psychoanalysis at the Adler Graduate Professional School in Toronto and is the author of many works in philosophy, psychoanalysis, and psychology including seventeen books. In 2006, 2011, and 2013 he was recognized with a Gradiva Award from the National Association for the Advancement of Psychoanalysis in New York City for his scholarship, received a Significant Contribution to Canadian Psychology Award in 2008, a Goethe Award for best book in 2013, and the Otto Weininger Memorial Award for lifetime achievement in 2015 by the Section on Psychoanalytic and Psychodynamic Psychology of the Canadian Psychological Association. He runs a mental health corporation in Ontario, Canada.